You can use Vue Datasource as a Vue component, to create dynamic tables. 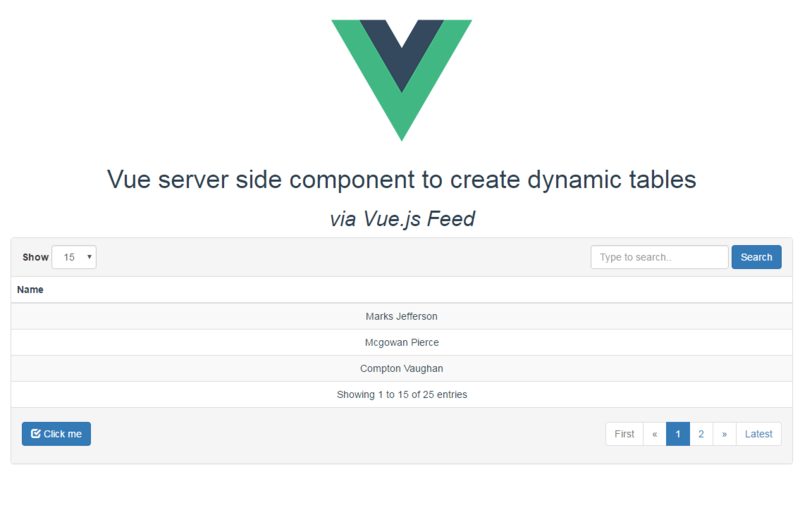 The project is built to be compatible with Vue 2.x and Laravel. Take a look at a live example here(the repo for this can be found here) and for the available Props, Events, Languages and more visit Github. Created by Javier Diaz.